TL; DR: When it comes to accessing information about products and services, most modern internet consumers demand one thing: speed. 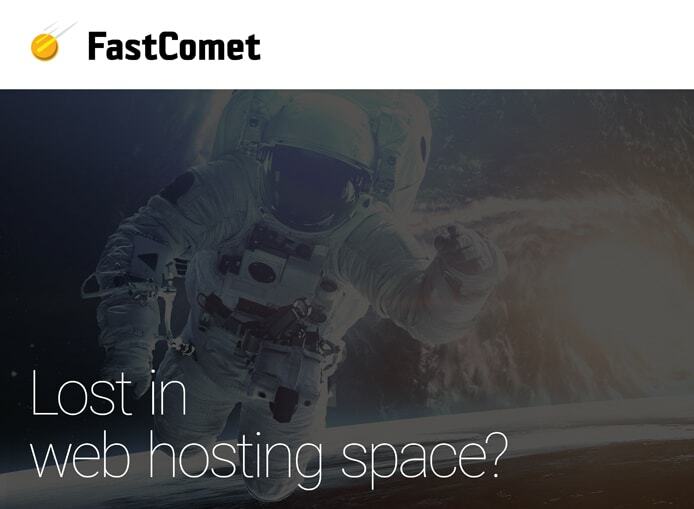 And, as the host’s name implies, FastComet is helping site owners deliver reliably fast performance. The company’s philosophy revolves around providing top-tier support, security, and lightning fast VPS, dedicated server, and cloud hosting solutions to thousands of users across the globe. With seven datacenters under its purview and more slated for construction, FastComet is positioned to scale its services even further to supply organizations with the high-performing infrastructure necessary for success in today’s competitive online market. As Elena Yovcheva-Tileva walked down the halls of the FastComet office on her first day of work, she couldn’t help but notice the air of tranquility permeating the atmosphere. Quiet concentration was the vibe here — and the peaceful, friendly, and quality-focused environment the host’s team created made her glad she had come on as the company’s Director of Cloud Marketing. Having entered the space in 2010 with standard web hosting packages, FastComet decided in 2013 it was time to pivot to better serve business clients looking for systems administration. The company then launched its cloud hosting platform and has been steadily growing ever since. FastComet’s Elena Yovcheva-Tileva told us how the company delivers speed, security, and support to its customers. With its headquarters centered in Bulgaria, FastComet established itself at the hub of one of the leading IT destinations in Europe. The country is known for its excellent university programs and well-educated workforce. 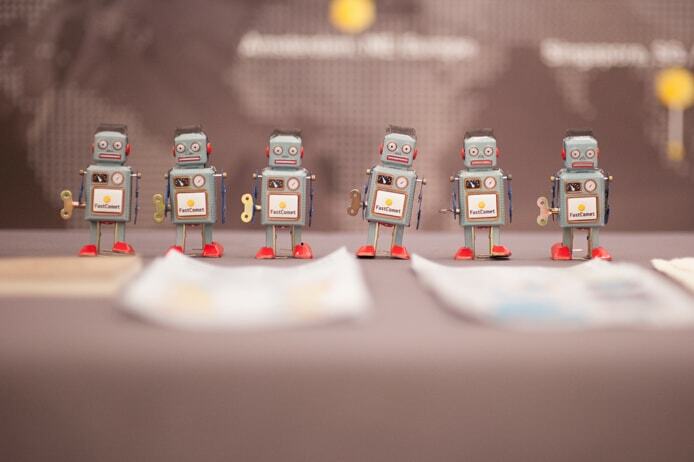 And, because of the company’s high-performing infrastructure and company culture dedicated to innovation, FastComet found it easy to attract the region’s best and brightest to join its ranks. The FastComet team is made up of highly qualified professionals who hold university degrees in either computer science, information technology, or internet marketing. According to Elena, FastComet’s philosophy centered on speed, security, and support has attracted the business of more than 15,000 customers around the world who are powering their web apps through the company’s globally dispersed datacenters. FastComet’s mission to deliver high-performing, reliable hosting is bolstered by its solid foundation in customer service. Elena told us that while speed and security may top the list of customer expectations, delivering quality, hands-on support is integral to the company’s success. FastComet users hail from more than 80 countries worldwide. But this large geographical dispersion doesn’t mean remote support and service. The company’s datacenters are located where its customers are, which goes a long way to ensure the quick speeds FastComet boasts. FastComet serves site owners from seven datacenters located across the globe and plans to build more facilities. According to Elena, FastComet is determined to make its services available to a wider audience, which is the reason the company is expanding so quickly. This allows FastComet customers to choose the hosting location that best serves their needs and those of their site visitors. And, again, it all comes down to performance. As security is imperative in any network, FastComet works to ensure site owners and their users feel safe and protected. When customers contact the company to offer feedback or suggestions, FastComet takes them into consideration. FastComet keeps an ear to the ground, listening to customers and market chatter to determine where improvements can be made. Elena told us the FastComet team has discovered a rising demand for more hands-on customer service — especially when it comes to managing virtual private servers. “Over the last few years we’ve seen that bad service is one of the main problems that customers experience in this space,” Elena said. As a result, FastComet responded with a proactive approach to support that’s difficult to match. After all, poor support with other hosts is what prompted many customers to turn to FastComet in the first place, and the company wants to deliver the service they deserve. FastComet HQ is located in Bulgaria’s bustling tech hub, which allows the host to draw from a vast pool of IT talent. “While other companies provide only hosting and technical support, we offer full support for our services, websites, and applications,” Elena said. The FastComet tech support team is dedicated to fixing issues. And Elena told us FastComet is especially adept at addressing technical problems many hosts can’t because of the vast experience and knowledge of its team. Lauded by its users for its expert skills at troubleshooting, the company is known for going above and beyond, including checking and fixing customer scripts. As Elena noted, this level of support isn’t only available on its most expensive plans. FastComet’s service includes free installation, upgrades, transfers, and templates at no cost. And Elena told us the company handles open-source application installations, and configurations for WordPress, Magento, and Joomla. Assistance with virus removal and other security-based services are also available. Elena told us this array of hosting- and non-hosting-related services are what differentiate FastComet from other providers. “Our level of support makes us one of the few hosting companies that provide a full range of assistance,” Elena said. FastComet’s platform is compatible with all the most popular software, including Joomla, Magento, and WordPress. Another selling point is that FastComet does not limit or place restrictions on its users when it comes to customizing their web applications. “Even in one of our new and recently introduced web hosting plans that offers a bit more specialized environment, we still do not restrict customers in terms of using specific plugins or specific setup,” Elena said. This way, FastComet users have more autonomy over their own web systems. And, according to Elena, this dedication to improving services and innovating solutions is integral for FastComet to stay at the top of its game. Pricing has become standardized throughout the hosting industry. However, according to Elena, many providers haven’t kept up with customer demand when it comes to the quality and performance of managed services. Elena told us FastComet looked at both of these aspects and upped its game to improve service levels and become more competitively priced. FastComet’s leadership believes that, although pricing is a major issue for hosting services, it is not the most important thing to consider for a web hosting provider. To differentiate pricing models, many hosts offer highly discounted rates the first year of service but then increase the rate the following year. FastComet customers know their returns on investment are significant thanks to the speed, additional resources, savings on technical support, and the high uptime guarantee the host delivers. And, according to Elena, that makes all the difference.